HostSearch interviewed Arvand Sabetian, Founder and CEO at Arvixe - one of the fastest growing hosting companies. HOSTSEARCH: Thank you for giving us the opportunity to talk with you again. Can you please let us know any updates since the last interview in 2012? ARVAND SABETIAN: I'm happy to say that Arvixe has over doubled in size since 2012 and is on a great trajectory to become one of the foremost players in the VPS and cloud hosting space. HOSTSEARCH: How long has Arvixe been in business and how did the company arrive at where it is today? ARVAND SABETIAN: Arvixe has been in business since 2003, however, majority of the growth began in 2009 when our affiliate program was rolled out and partnerships with software vendors started to come into play. Arvixe today offers a wide range of products such as Linux and Windows shared, VPS and cloud hosting products. 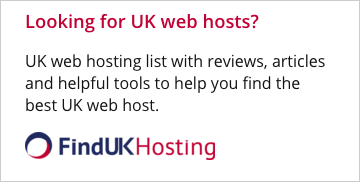 HOSTSEARCH: Can you please share with us an overview of your current products and services? ARVAND SABETIAN: We consider our shared, VPS and cloud hosting products in both Windows and Linux as our main products. 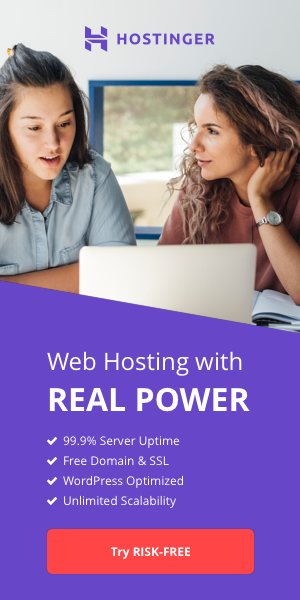 HOSTSEARCH: What is your best-selling hosting plan? ARVAND SABETIAN: It's hard to label a single product as best selling as they all have their own niche areas that they have been successful in. We currently consider our VPS/Cloud hosting packages as the best packages. They provide the highest levels of reliability and performance while having the least amount of cancellations. HOSTSEARCH: I noticed that you're offering “nopCommerce Hosting” and “Magento Hosting” for Ecommerce Hosting. What are the main differences between them? ARVAND SABETIAN: We actually offer hosting bundled with over 20 different shopping carts but our largest partnerships in the ecommerce space are with nopCommerce (Windows) and OpenCart (Linux). The main difference between the 2 is the platform they rely on with nopCommerce being written in .NET and OpenCart in PHP. Due to our strong partnerships with these 2 software vendors, customers utilizing hosting accounts with the software pre-loaded receive free SSL certificates as well. HOSTSEARCH: In 2012, you mentioned about the “VPS/Cloud” offers. Can you please let us know more about development of these services? ARVAND SABETIAN: Currently our VPS and Cloud offering is built upon the hyper-v platform with availability across both Windows 2012 R2 and CentOS 6.5. We offer both fully managed (turn-key) and self managed (light-weight) across both US and Europe datacenters. By the end of the year, we hope to roll-out Ubuntu and Debian VMs in the light-weight category and mid-tiered (Webuzo powered) Linux templates across both U.S. and Europe as well as Hong Kong (Asia) datacenters. HOSTSEARCH: Reading through your customer testimonials, I can see that they are very happy with your services and products. Can you tell us your secret how ARVIXE keeps customers so happy? ARVAND SABETIAN: We place a high level of importance in customer feedback. Any company our size, considering the wide range of services provided, can and will have customers who may become disgruntled. Our goal is to provide an easy way for customers to quickly escalate their issues and to have their voice be heard. We then take such issues very seriously and aim to improve our services as a result of them. HOSTSEARCH: As you are the Founder and CEO at Arvixe, what are the factors that make you successful in this industry? ARVAND SABETIAN: Our success has always been due to our people and our products. Arvixe is known for its quality products and that includes not only the fact that we only sell quality products to our customers but also hire quality individuals to provide support services for those products. And that has always been our secret. HOSTSEARCH: What are the future plans of your company? ARVAND SABETIAN: Our goal is to make as much of our product lines available to as many people. This means continuing to roll out useful, stable and easy to use products that setup quickly and are versatile enough for majority of our users' applications. As the hosting industry evolves, you can find Arvixe to be there to provide the quality products customers expect without the ambiguity our competitors introduce in their marketing tactics. 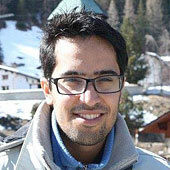 HOSTSEARCH: Arvand, thank you very much for sharing your thoughts with us today.